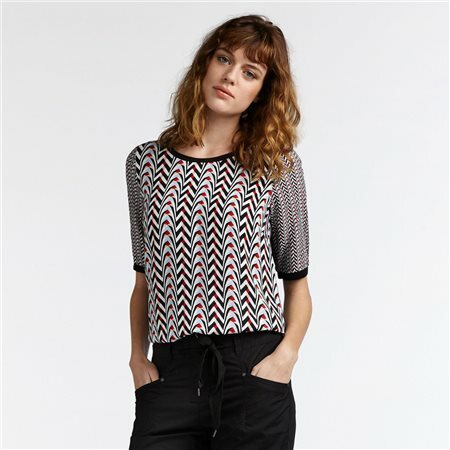 You will stand out in this viscose top with a mix of various graphic and stripy prints. The top has a fine ribbed piping on the neckline, sleeves and a lurex tape on the inside of the neck as a detail. The mix of prints allows you to combine this piece well with the plain pieces in your wardrobe.